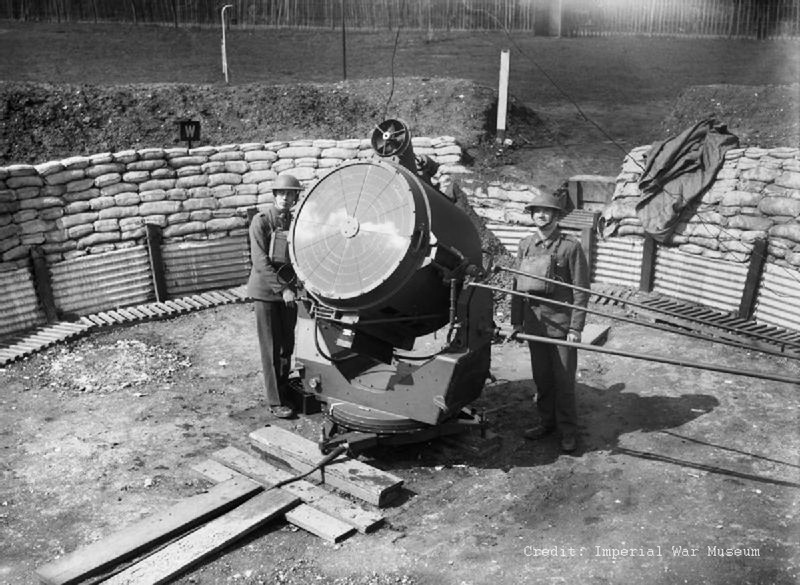 WWII searchlights formed part of a system of aircraft detection linking locator devices, searchlights, and antiaircraft (AA) guns. The locators sent electronic information to the lights and guns, which in turn tracked the target. Once a locator had "locked on" to an enemy aerial target, the concept was for both lights and guns to be trained on the target so it could be nearly simultaneously illuminated and then destroyed. 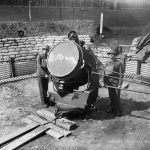 For this to system to work successfully it required a whole network of searchlights and AA batteries across the country. The New Forest was well covered by searchlights and AA batteries, due to the open ground available and the proximity to large urban areas that were on the front line of the conflict for many years between the fall of France and the build-up to D-Day. Even after D-Day both played an important role in defending against V1 flying rockets. Many of these sites can still be seen as echoes in the New Forest landscape, but just as many have been removed and leave no trace. Work in the war diaries has led us to be able to accurately map their locations and density across the New Forest. War diaries will often record little more than codes, locations, daily activity, movements and interactions with other units whilst others can be much more descriptive, with daily reports on operations, intelligence summaries and other material. The diaries do not usually contain information about particular people: they are unit diaries, not personal diaries. Many maps and plans were included in the original diaries but some confidential material was removed before the files were made available. This accounts for the absence of some appendices referred to in many of the diaries. You can explore the war diaries through the National Archives. Ref. : TNA:PRO WO 166/2318 – War Diary of 64 AA Bde, July-Dec 1941. Search Light location estimated from Military grid ref.